From the very beginning or emergence of the Ukraine crisis, as details of the coup emerged and Crimea was, in the eyes of the west – annexed by Russia – it became clear that we are heading to a prolonged battle. This is one that is not just a physical war which entails much destruction but a war of wills in a conflict over the question of which side has the moral upper hand. From the very beginning, the West and Russia were speaking in opposite languages and had opposing mindsets. 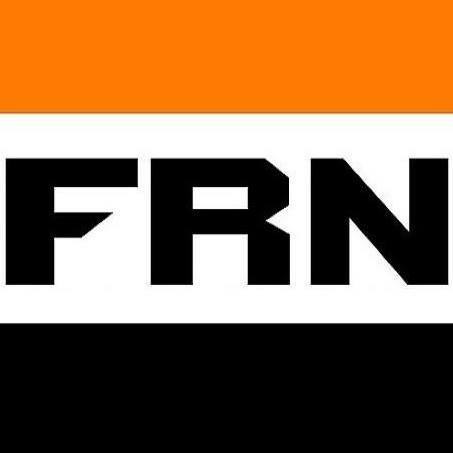 While the West, led by the US, accused Russia of aggression in Ukraine and pointed a finger at it for violating international law, Russia was speaking about fascists in Kiev and about an illegal coup. It became clear from the very beginning that the issue was not merely one of disagreement or division, but of a cultural war with the West attempting to prove its superiority, vis-à-vis Russia. While US support for the coup in Kiev could be analyzed from the perspective of traditional imperialism with the US seeking to impose its will and ensure that its will overrides others, even that of regional powers, the way it has managed to convince many in the West of the righteousness of its cause and in its support of the Kiev post-coup government, was due to an appeal to the Western sense of justice and law with Russia being presented as an aggressor and violator. Furthermore, Russia was presented as practicing the “laws of the jungle” as Angela Merkel put it, and therefore as a barbarian. If one wishes to understand the crisis and its nature, it is necessary to analyze the respective mentalities of each side (while of course realizing that among individuals there are greater differences).This kind of analysis is especially needed due to the fact that the current conflict is showing all the signs of developing into a major war, with an all-out nuclear war appearing as a realistic possibility which should not be ruled out. The Western mentality based on capitalism, the Puritan work ethic (prevalent to the largest degree in the US), Martin Luther’s doctrine of the individual being saved by faith, Calvinism, liberalism as a product of the Enlightenment and the rule of law, sees the creation of an autonomous, independent individual as its highest achievement. The rule of law is held sacred as it is the mechanism by which the market operates, even when the law serves to strengthen the control of corporations over the lives of ordinary people. Within this framework, the creation of an independent, rational actor, who must live for his or her own sake and seek to express his worth via his external accomplishments, is the hallmark of the Western civilization. This individual, for obvious reasons, therefore faces immense pressures by his surrounding environment. He has to constantly prove his worth to earn the approval of others by being successful, and yet does not have the support of a larger community to a degree more common in the Middle East, Latin America, Africa and Asia (with Singapore and Japan perhaps serving as an exception yet both have attempted to imitate the West). The individual in the West is judged solely on his accomplishments and not on his internal value as a human being. For this reason, he is constantly insecure and seeks to prove himself. However, faced with obstacles for which he cannot easily ask for assistance as it would display a lack of ability, the surrounding pressures are immense and a relief must be provided. The easiest way one can feel secure about himself, therefore, is by seeing how he is better than others, and ways in which he is superior. After all, if people are atoms, and judged by their accomplishments alone, while not enjoying support of a community or even that of a close family due to the demands of the Capitalist work ethic, then one sees others as a competitive threat on the way to the prize. Therefore, by pointing at how he is better than others, more moral than them, more professional and so on, he feels better about himself and is secure, if only momentarily. What is true for the individual is true in a greater scale in the neoliberal Western order. If one looks at Western history, especially of the UK, US, Germany, and so on, it is replete with aggressive expansion, imperialism, bloodshed, colonialism, exploitation and slavery. Imperial wars conducted by the US and UK have continued and intensified in recent decades. The Western mentality, however, still holds that the West is better than all other ‘oppressive’ countries, despite the fact that the latter did not engage in bombing campaigns of ‘backward’ countries. While overlooking a legacy of colonialism in the case of the UK and of supporting oppressive regimes in Latin America in the case of the US, the Anglo-Saxon Western world views itself as superior and as an upholder of liberal values. Therefore, it is all too convenient for it to point a finger at Russia for violating international law by its annexation of the Crimea. By blaming Russia, the West feels better about itself. In Russia, despite having a market economy and Oligarch-run capitalism (while in the West, the rule of corporations has been prevalent for several decades and their control of the media and government remains unexamined), society is still to a significant degree influenced by the tradition of socialism and Orthodox communitarian values. Although strong ties in the community have weakened in Russia in the past two decades, the individual is still not viewed wholly as an atom who lives for his own fulfillment, but as one who belongs to a community and a nation, and must live for a moral purpose. While this notion has weakened in recent years, it is still stronger than in the West. Even if many people do not follow this mode of living, the understanding that they are failing by doing so. Indeed, Russians tend to be very critical of themselves in how well they live up to certain standards and are not too comfortable with themselves in the way Westerners tend to be. In Russia, despite the image of immense corruption that is common in how Westerners view it, friendship usually comes before career. People will go out of their way to help a friend in most cases, even at their expense of their professional development. While in Western culture it is more common for people to mock, belittle or insult those whom they dislike or who serves as a competition, in the Russian mentality, basic decency is to be generally respected and people are not to be humiliated or mocked without mercy unless in exceptional cases as a response to an aggressive action. What is true for the individual is also true for the society at large. Ever since the collapse of the Soviet Union, Russia did not engage in regime-changes or imperial wars abroad. While the US attacked Iraq, Afghanistan and Libya with Syria possibly serving as the next target, Russia has minded its own business. The war between Russia and Georgia in 2008, for example, was not initiated by Russia but followed theunprovoked shelling of Tskhinvali by President Mikheil Saakashvili. The issue of Crimea’s annexation by Russia and how to interpret it highlights the different modes both cultures have in seeing reality and why they will inevitably come into conflict over this. 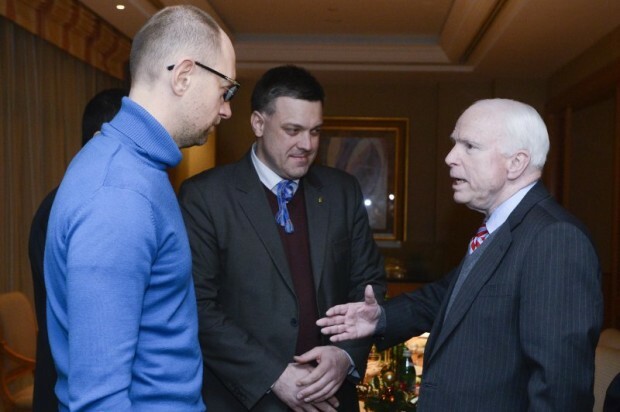 In the Russian view, US overt recognition and support for Ukrainian neo-Nazis (as exemplified by John McCain meeting with Svoboda’s leader Oleh Tyahnybok), its support of an unconstitutional coup in Kiev, and its defense of it later, is not only an insult but also a betrayal. The fact that the United States, formerly an ally of the USSR during the common battle against Nazi Germany, placed Nazis in power in Ukraine and did so illegally by a violent coup, was seen not only as an act of breaking all norms and laws and in posing a direct danger for Russia and ethnic Russians in Ukraine, but also as a betrayal of the worse kind in which the other side has shown clearly that it holds nothing sacred. Neither Ukrainian law, nor international law and certainly not the legacy of World War II were given any value. In other words, the West has engaged in the greatest insult possible, while claiming that the rule of law is on its side. In so doing, it has revealed that it cannot possibly be trusted. It betrayed not only the common sacrifice made by millions of soldiers serving for the anti-Fascist Allies during World War II, but also the promise made by Baker to Gorbachev against NATO expansion to the East. Therefore, the West, in Russian eyes, revealed itself as entirely unreliable, a treacherous partner, from whom no basic decency is to be expected. This notion is only reinforced by the fact that the West appears to be more preoccupied about the bloodless annexation of the Crimea than about the Kiev government’s bombardment of its own citizens. The Russian response to the West overlooking the fact that a third party of external snipers were hired to fire at protesters on Maidan, that Right Sector fascists fired at the police, and that national socialists were placed in the immediate government, was to regain some dignity as quickly as possible and secure Crimea before Sevastopol fell into the hands of NATO. To this end, a rushed referendum was conducted, which did genuinely reflect, the will of the people there, as recent polls revealed, and Crimea joined Russia. 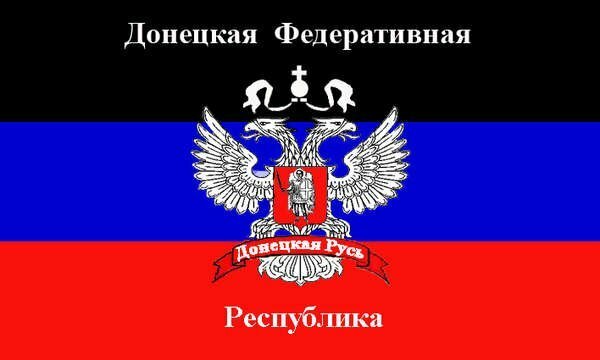 Following the coup in Kiev, people in Lugansk and Donetsk took arms in East Ukraine and demanded a federation in which their rights will be respected. 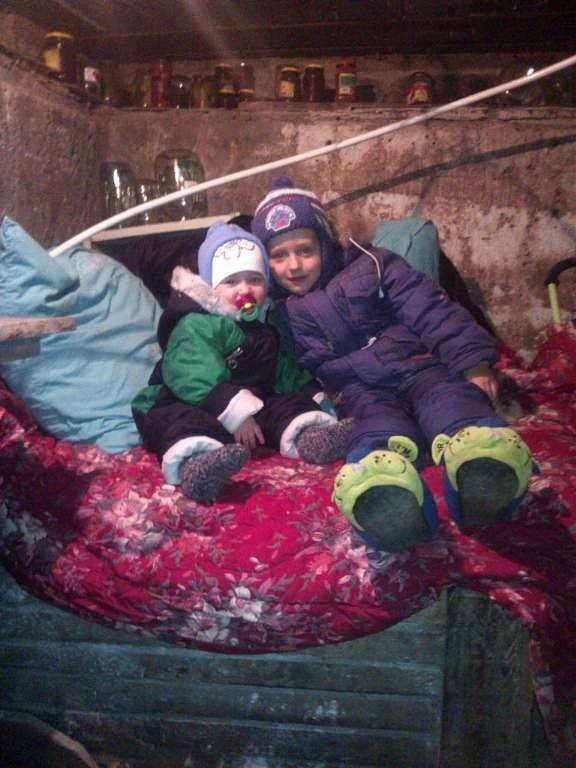 This was done after the establishment of an ultra-nationalist West-Ukrainian government. Yet while the West supported a violent coup in Kiev led by fascists who fired at the police, it denounced as “violent” and “illegal” the fact that people in the Donbass did not see themselves as represented by the post-coup government in Kiev, supported by the West. In the eyes of the West, the annexation of Crimea is wholly unacceptable. This is due to the fact that the referendum was not carried out in due process, following a lengthy and organized legal proceeding. It was seen as a barbaric action, conducted by the barbaric Russia. As mentioned earlier, in the Capitalist West, that operates by laws serving the market, the law is held as the most sacred thing (at least when violated by other countries). In the eyes of Russia, however, and in Eastern thinking in general, a more holistic thinking is practiced in which the spirit of the law is more important than the letter of the law, and decisions need to be made based on flexible thinking and not due to rigid compliance. For the West, the annexation of Crimea is the proof that Russia is insane, irrational and dangerous. It went on to depict Russia as irrational, dangerous and, of course, aggressive. It was not only that the West portrayed Russia as barbaric, but also within Ukraine, divisions made themselves manifest. West Ukraine has depicted residents of East Ukraine as “barbarians”, “subhumans” and “easterners”, repeating the terms and ways of seeing that Nazi Germany viewed Russians in the East. Furthermore, while people in the East tend to live in more collective lifestyles and to support wider communities, people in the West, due to the influenced of the Austrian rule, have inherited individualism (as well as Ukrainian fascism as practiced by the Ukrainian Insurgent Army). For the West, pointing a finger at Russia as a violator of international law, has served several important purposes. First, it placed itself in the camp of “enlightenment”, “modernity”, “liberalism” and “democracy”, while looking down at “barbaric” Russia which does not recognize present day borders and lives in a different era. Secondly, the West gains pleasure by accusing of “breaking the law” while ignoring its own violations of international law in its many wars of aggression and bloody history of colonialism. Thirdly, it gains self-esteem by seeing itself as superior to a dangerous and irrational Russia. Indeed, while in the West, democracy prevails and a rule of law is the norm, Russia is portrayed as a corrupt, dictatorial, oppressive regime. Russia is the evil Other whose demonic forces constantly manage to make their way into Ukraine and fight the European Ukraine, the sons of light. Russia is the aggressor. It is an aggressor not due to an action it took but by its nature, therefore every move it makes must be viewed with great suspicion. For the West, especially the US and UK, supporting the Ukrainian government that does not represent a significant part of the country, is absolutely necessary since Russia must be “taught a lesson,” “civilized” and ” disciplined” to behave by Western law. While colonialism in Africa and Latin America was justified as a method of bringing Christianity to the masses, even as these were massacred, in present times “democracy” and “human rights” are the values sought to be imposed on the “barbarians” by the West, whether they reside in the Middle East or in “backward” China and Russia who must be “enlightened”. Needless to say, Russia does not view things this way. For Russia, before any accusations are made, decency in human behavior comes first. Once the US supported fascists in Ukraine, it cannot expect Russia not to act whimsically. Once basic trust has been violated and a betrayal has taken place, all bets are off. It is now a war. In the ensuing war, therefore, waged in the media sphere, by economic means and on the ground militarily, two ways of looking at the world are battling each other. For Russia, the West is now a hypocrite by nature. It provoked the current debacle by its Kiev coup, and therefore its eternal preaching will inevitably fall on deft ears. Russia does not care what the West thinks about it, or whether a law was bended here or there, because the US broke the most sacred law, which is not to place fascists in power, especially considering the great sacrifice made by Russians during World War II. The massive bombardment of ethnic Russians is seen as a genocidal act, in the spirit of World War II fascists who waged a war against ethnic Russians. For the West, the war against Russia is a war in which it sees itself as superior and seeks to discipline the barbarian. It now does not need to deal with its own shortcomings, failures and neuroses, but has the role of the enlightened educator who will teach Russia to obey the law. For Russia, this is a war to restore its basic dignity, and a war of survival, as its very heart was attacked due to the close proximity to its borders, and the symbolic role Kievan Rus plays in Russian memory. It will therefore stop at nothing in what it sees as self-defense. Both sides will inflict heavy damage on each other, and to an intensifying degree each time. However, in the long run, Russia will be the one who wins. That is not only because historically, in every war where Russia fought for its survival (from Genghis Khan, to Napoleon, to Hitler), Russia won, but also since the pristine need to survive is more deeply rooted than the need to belittle and mock others in order to feel superior about oneself. The West can find another target to attack after Russia proves that it is an undefeatable enemy. Or it can raise its hands in despair and mumble something about Russia being a barbarian who cannot be controlled and it therefore gives up (France and Germany have recently come to this conclusion, for the US and UK it may take longer). But for Russia, basic decency is a value worth dying for, and some norms of human behavior must never be crossed in any circumstances. Therefore it will fight until the end and will do anything in its power to win. For the West this is not a war on its survival. It is a war to teach Russia a lesson and to point to its own superiority. For Russia, this is a war about protecting basic dignity and decency, a war on basic decency which must not be touched, since if one compromises on one’s honor, one has no right to continue to live. Therefore Russia must win, and, if to judge by history, will win. But the price can be high. This entry was posted in External Publications and tagged capitalism, Communitarian, communitarianism, culture, imperialism, Joshua Tartakovsky, Kiev Junta, Novorossiya, Orthodox Christianity, Puritanism, Russia, sociology, Ukraine. Bookmark the permalink. 11 Responses to The Battle of Wills between the West and Russia: Which Side Will Win? I am also quite impressed with this analysis as well- this is in many ways a moral argument that speaks to the heart of sovereignty. The key facts are here, macro-micro comparison, and psychological predicates creating ideas on group norms and individual behavior. I happen to agree with you, contemporary western values, (e.g,capitalism, consumerism, individuality) etc, in the rational end game play out as a mutation into a community-less people. 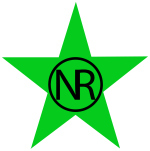 Here collective morals and ethics are only ideal-types to be played out in the irrational realm of life and society where they create a lack of collective meaning, Levi Strauss in the 50’s pointed this out (a neocon, go figure, who saw war as collective endeavour in its end of creating national harmony). In some factors the historical foundations of freedom, liberty, and privacy, in America, and the West, are being eroded, from within, quite ironic and sad really, like you said in order to fufill the end game of the collective psyche. However, In order to be free you have to practice freedom and liberty with the understanding that everyone deserves this, no exception. To be compelled otherwise, via corporate, financial, or military interests, is to only breed misfortune on yourself, as well as other. I do not think capitalism is to blame entirely, several factors have played out in its demise and mutation see above, nonetheless, it is simply the historical perversion of our human race, that has constructed our inabilities, disabilities, and misunderstandings, of coming to know one’s neighbour and the greater community, not as a threat, but as a common resource where people come together in order to build something better- these are the very principles at the heart of America’s founding, cant dent this. America’s self-alienation is felt everywhere, not just america, and is very much a result of the technical and materialistic forces gaining strength over those un-nameable objects that are virtuous, solemn, etc…. For future interest look up Jaques Baudrillard’s notion on symbolic exchange of death, notion of cultural psychology, freud, eros & thrantos, life and death. This is an interesting and valubal analysis and to a certain extend the psychology and mindset are not unimportant, since the actors in the play are human beings. But I think there are much more elements at play, especially in the sphere of economics, finance and geopolitical clashes. And they too have profound historical background. I don’t think it is just “The West” against Russia. I see it more as a fight of the Anglo-American financial elites to maintain their dominant power. In my opinion are we living in the end phase of a roughly 500 years financial capitalism – coming fronm Venice, but with roots much older to the Roman, Egyptian and Babylonian times – based on debt and interest which eventualy was shaped in private central banks with their fiat money. That is the big fight at the moment, in which the posession of gold is crucial. The first things they do when they overtrow governments, by coups or invasions, is to rob the central banks of their gold. What is at stake is the position of the dollar, and the use of fiat money in general. The US has blocked gold in the Forex trade, now the BRICS introduce the goldstandard in trade. Second, Russia was always targeted for the immense wealth it has in raw materials, but now even more since it is the only power in the world with enough nucleair capabilities to restrain the agressive policies of the Anglo-American power. European colonialism, starting from the crusades, was always to conquer markets and recources, since Eurpe is a poor continent. Russia maybe now the prime target, but I think the present day agression is in fact directed against the rise of Asia. The pendule of history swings back to Asia. There are many other aspects to mention, but I will mention one, that is that “The West” as such is not 1 block. Among them there are many conflicts of interest. The actions of the US, supported by Brittain, are as much against Russia as they against Europe. Victoria Nuland made that very clear in a few words. The immense pressure on Europe to participate in the sanctions against Russia, allthough it is detriment to the European economy, serve the aim of keeping Europe under the thumb. It is not a coincident that while all media is focussed on Russia, in a very secret manner they are preparing a transatlantic free trade zone. So both Europe and Russia must be weakened, for the USA to survice. And by weakening Russsia they try to kill the BRICS. I agree that the US will loose, but for other reasons the psychological. The world is fed up with the Anglo-American dominance, their steeling, manipulating markets, cold blooded murder and destruction. Even among some European countries the resistance is growing, though the Americans have their 5th collomn everywhere. From different sources we hear that Germany is in the process of leaving the euro, the EU and NATO. No doubt France will follow. This might happen much sooner than can think of. The EU will follow the faith of the USSR, and I wouldn’t be surprised the USA too. I have not finished reading this article, but the above quoted statement actually has no place whatsoever in the thinking of the West. They West does NOT give a damned about “feeling better about itself.” It does not attack Russia from the standpoint of competing moral values. It attacks Russia ONLY as a TACTIC, that’s all. The people that run the United States [primarily, white supremacists–and I’m not talking about of the hood-wearing, goose-stepping type] operate on the belief that intimidation, force, and WAR are the only methods of attaining permanent superiority over the rest of the world, that superiority being the ONLY goal that the West (the U.S.) desires. The inclusion of Crimea into the Russian Republic, at the DEMOCRATIC consent of the Crimean people, is NOT viewed by the U.S. as an example of Russia’s barbarism. The inclusion of Crimea into the Russian Republic is viewed as an OPPORTUNITY for the West to shape a discourse, through the media, that will, they hope, sew seeds of division WITHIN Russia; cause European and Eurasian countries to quiver (or PRETEND to quiver, which is the more likely reality) at the prospect of Russian’s alleged intent to “re-build” something akin to the Soviet Union; and paint Russia, through the use of the media, as a potential global threat to all people. I was born and raised in the United States. The United States doesn’t give a SH_T about “feeling good” about itself as compared to Russia or any other countries. To believe such an idea is to believe that U.S. “leaders” have morality, and are really concerned about how the U.S. is projected in the world’s public. The U.S. is concerned with SHORT TERM GAINS, for a tiny minority, at the expense of everyone else. So, their goal is to caste Russia into a negative light so that they can fulfill those short term gains. After those gains come to an end, they start a new, short-term project. They work on the Idea of the fulfillment of endless, short-term projects. They believe that, by taking this approach, while at the same time keeping the rest of the world in chaos [thanks to the CIA], engulfed in proxy warfare, they can continue to be superior MATERIALLY, and then only for the 1%, as it’s called. This is the philosophy of the U.S., PERIOD. It might have been legitimate, PERHAPS, that General McCarthur stated those words, at that time, since this was a surrender ceremony that ended a brutal World War. But, as a general principle, that statement is HORRENDOUS. Yet, indeed, it is the statement that bests describes how U.S. leaders think: The way to settle whether or not Russia’s [and, for instance, the BRICS nations’] global vision of a world based on cooperation and development is a better ideology than the U.S. belief in dominance and “order out of chaos,” is NOT by healthy competition, no. The question is settled by FORCE. Who can create enough tension and pressure (such as the U.S.-backed attempted dismantling of the Syrian government, which, as of today, April 26, 2015, seems to be close to realizing that goal, unfortunately) against a competing country, so that the country applying the pressure will win? Anyway, to believe that the U.S. is concerned about “feeling better” about itself is naive. The U.S. doesn’t have that type of moral self-consciousness. The U.S. is morally bankrupt. It used the institution of Slavery, for some 200 years, to exact FREE labor out of black people. Once Slavery ended, it came up with a new system: Jim Crow, which lasted some 69 years or so. Once Jim Crow ended, it engineered what is now called mass incarceration. And this has put black people back, according to Dr. Michelle Alexander, to 1968 levels economically, socially, and otherwise. This is the REAL U.S.–the single most immoral “developed” country on earth, and perhaps the single most immoral country on earth period. No, No, No, it was NOT seen, by the west, in that manner. The West’s reaction to the annexation of Crimea, as reported in the media, and as expressed by Western (U.S.) “leaders” was just PROPAGANDA. They DO NOT view Russia’s annexation as barbaric. They just SAY that to APPEAR to be speaking from a moral base. IN REALITY, they fully know that the annexation of Crimea, by Russia was LOGICAL, and was directly tied to the SECURITY of Russia. They know it. They were NOT “shocked,” for instance, when Russia annexed Crimea, though the media would have us believe that. They weren’t shocked. They were just pissed off, that’s all. They gambled, in Ukraine, and had no idea that Russia, and the Crimean people, would respond STRONGLY in an earth-shaking, historical manner not seen in a very long time. They were just pissed because Russia plays INFINITELY better chess than they do. I repeat: In their actual thinking, they DID NOT see Russia’s move as barbaric. They SAID that they did, and they said this ONLY for propaganda value. This STILL applies. The “white” man has ONE GOAL, and one goal ONLY: global dominance over everyone. And it will NEVER give that up. It will NEVER take a moral and sensible path, because it is ideologically tied to the goal of global white supremacy. This is why, unfortunately, my country, the U.S., will most likely be destroyed. It’s unfortunate, and I wish I knew of a safe place to live, on this planet, because the U.S. is GOING. No it is not. The BULLET is seen as the most sacred thing, NOT the law. If law was considered so scared, in the U.S., then why are black men being shot, IN THE BACK, twice a week? And why is it that the “law” never does a single thing about it? How a nation treats its weakest people is a measure of how it will treat ANYONE. The U.S. is a LAW-LESS place. It no longer has respect for the law, and, quite frankly, it NEVER DID. It had possessed a SEMBLANCE of respect for the law. But, whenever a law GOT IN THE WAY, they would ignore that law, or change it. Except for these unbelievably naive statements, this is an excellent article. The West doesn’t CARE about self-esteem! It doesn’t. It felt NO loss of self-esteem in raining bombs, all day and all night, on a nation whose population was less than the population of metropolitan Chicago–Libya. It felt NO loss of self-esteem by using the strongest military alliance in human history, NATO, to destroy Libya. Using moral standards to analyze the West is a mistake. The West HAS no self-esteem, whether it be low or high. Self-esteem does not exist in the geo-political vocabulary of the U.S. The U.S. is evil. U.S. leaders, particularly military leaders (such as its generals), view Russians as MONGRELS. They will not say so openly, but they place Russians squarely under the category of SLAVIC NIGGERS. They wish that Russia would become “white.” And Russia has NEVER been white. I remember that the Soviet Union stepped in, fearlessly and generously, to help Third World countries win their independence. This is Russia. I’m not speaking of ideological communism, though elements of that were strongly pro-people. I am speaking about the CHARACTER of the Russian people. And that character still exists, although, as Putin himself once stated, the Russian people had ALMOST gone down the road of being totally Westernized. In my personal view, Russia’s return to the ROC (Russian Orthodox Church) is excellent, although I am not a Christian. But, it just appears to me that some of the VALUES of the Russian people must certainly have come from the ROC. As regards who will win, in a war between the U.S. and Russia, NOBODY wins, because untold millions of human beings will DIE, an untold millions of others will suffer. But!! If we’re talking about who will RECOVER faster, there is a religious prophecy, offered by a religious leader in the year 1967, that says that Russia and the U.S. will fight; both civilizations will be crushed, but that Russia will recover much, much faster. I hope that it doesn’t happen. But, whether through the lens of religious prophecy, or the actual unfolding of current events, the prospect of avoiding war between the U.S. and Russia DOES NOT look good, I am very sorry to say. The prophecy referred to above also seems to suggest that the U.S. will be permanently finished. No mention of what happens to the U.S. AFTER the war is stated, other than to say that Russia will recover first, the ASSUMPTION being that the U.S. will recover somehow. Everyone looks at their own situation, and that’s normal. But, there is something that the U.S. doesn’t understand, and it has to do with the payment of past wrongs. The U.S. has “gotten away,” scott free, with what it has done to black people. They took thousands and thousands of miles away from our homelands. If we attempted to speak our native African languages, they literally sliced our tongues out of our bodies, pickled them, and placed them on their mantles, above their fire places. They took away everything that makes up a people: our language, our land, our religious practices, our marital practices, our medicines–EVERYTHING. They created us as BAFOONS, and laughed at us in the process. They now have our young people in prison, in their mass incarceration project, no doubt conducting all manner of secret experiments on our young men. For this, if nothing else, the U.S. will be destroyed–UNLESS it changes. Does anyone see the U.S. as changing?